I have always been fascinated by the past. The future? Not so much; it worries me more than intrigues me. But I love to look at old photos, read old books (especially if the books themselves are yellowed with age), and especially love old fashioned clothing, shawls in particular. 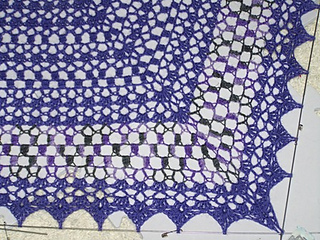 What did these women think, as they crocheted so long ago? Were their lives so very different from mine? In many ways, probably so. 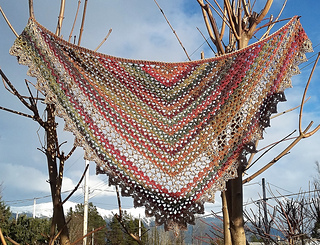 But as I crochet, especially something in a style of the past, I can almost feel myself slipping into a different place and time, at one with those who crocheted before me. 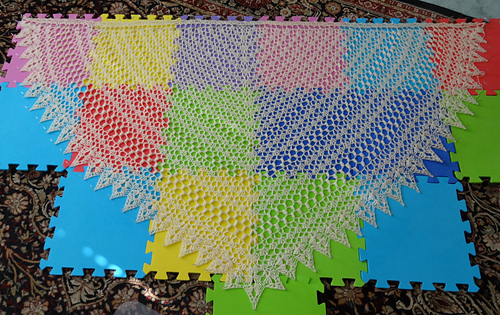 My sister swears that as she is knitting, she can feel our grandmother (who was a great knitter and crocheter) there with her, enjoying those same beloved stitches, rejoicing in the ability to create a small piece of heaven. 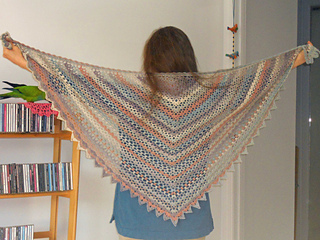 This pattern is based on “A CROCHET SQUARE SHAWL IN TWO COLOURS,” originally published in “Needlecraft Practical Journal No. 56” by Needlecraft Ltd., Manchester and London, 1906. 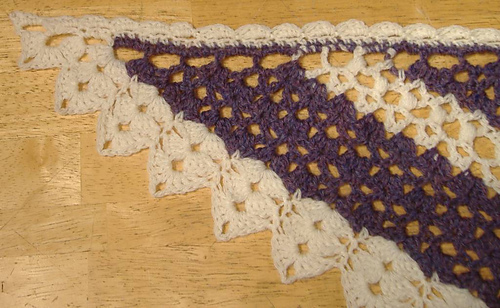 It was reproduced by Mary Konior in her wonderful (but sadly, out of print) “Crochet Lace” in 1991. 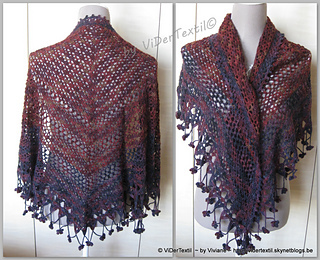 My version differs in several ways: I made it triangular, changed the Puffs (which they called “Tufts”) to make them easier, changed the corners to how I liked them, translated from British to U.S. crochet-speak, and provided directions to create the shawl in various sizes, smaller or larger than the original. 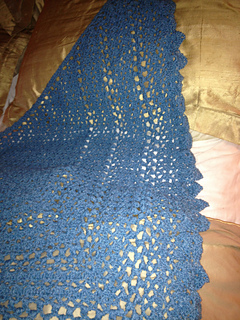 But it is still basically the same shawl my grandmother might have made in 1906. 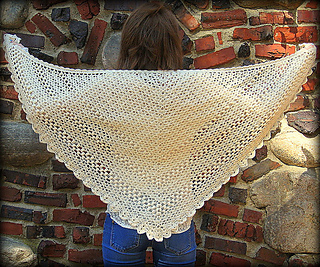 She would have been 17 years old, living on a farm in “the old country” and quite adept by then at shawl-making. 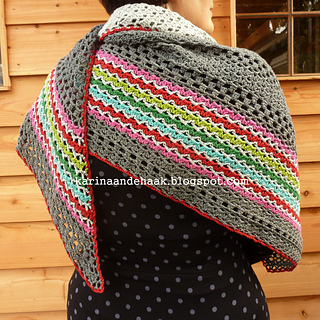 It is still a beauty today, lovely yet practical (as was my grandmother), so join me as we travel back in time to crochet it once again in celebration of my one year Design-aversary on Ravelry! Thanks to Nemosuke for charting and EffinEffie for testing!